TL;DR: a new, very simple 1-week tactics game I worked on is available here! Over the last month or so, Happy Snake and I have been working together on a few games. Snake has actually been helping me with my latest game, Chess Peace: Cool Party a lot, doing art for it and more, and also we’ve become good friends over the past year. They’re a really awesome dude and it is always great to have a new collaborative partners. We started working on a currently-unannounced project about a month or two ago, which is going well. But about one week ago, Snake suggested, hey, we should make a game in 24 hours (or 48 hours, or something, I forget the details). The idea was, we should make a bunch of really tiny, really quick games and just get ’em out there. They mentioned that they had a design for a “super simple Advance Wars type of game” floating around but had run into some problems, and that I should take a crack at it. So that night, I threw together a two-page design doc. The following night, Happy Snake had a build completely working and playable already! 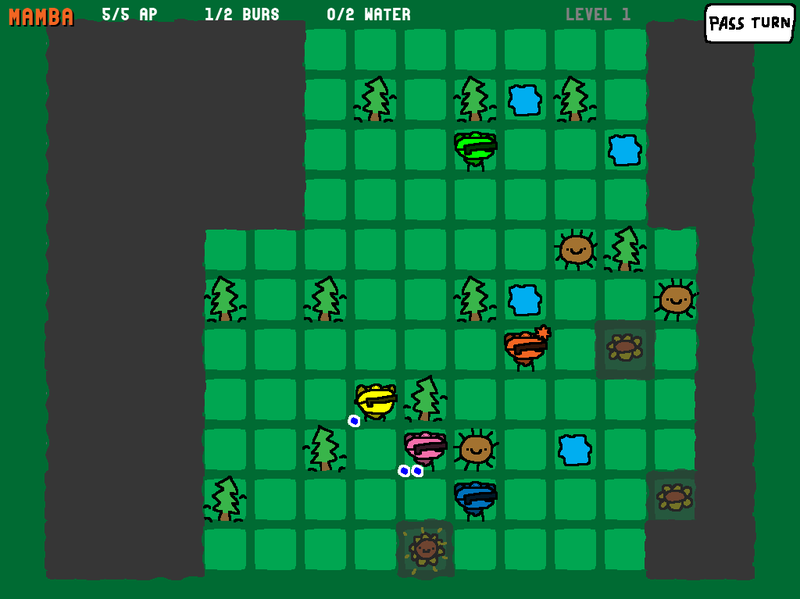 That game is Advance Plants, a super-simple X-Com/Advance Wars inspired game about space marines watering plants. One week later, the game has just been released, and it’s weirdly fun for how little work has gone into it so far. If you’re interested to learn how it works, here’s the tutorial PNG that comes with the game, which explains most of the mechanics. Happy Snake and I have decided to form a new, informal team called Keith & Snake. Our plan is to make a bunch of small, free games, and if players enjoy the games, they can support us on Patreon. I know that for me, I want to start moving away from the retail model for games, and lean more and more into Patreon as my main source of income from games. Because even if your premium game does pretty well, that premium income dries up about a month or two on, and then you’re sort of back to square one. For developers like myself, the subscription model probably just makes a lot more sense. So this is part of what I want to keep doing in the future, is making cute, fun little games, in addition to the stuff that I do for my own team (such as Escape the Omnochronom!, Chess Peace, and another project in the works), and of course the games I make with Dinofarm Games. 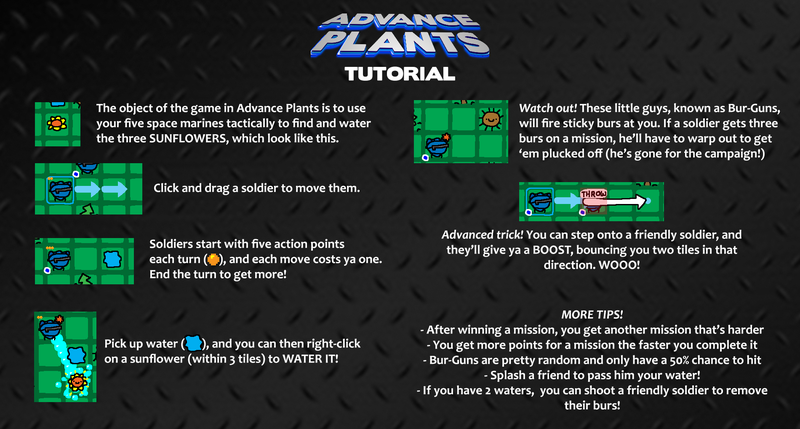 Please check out Advance Plants, enjoy, and let me know what you think!